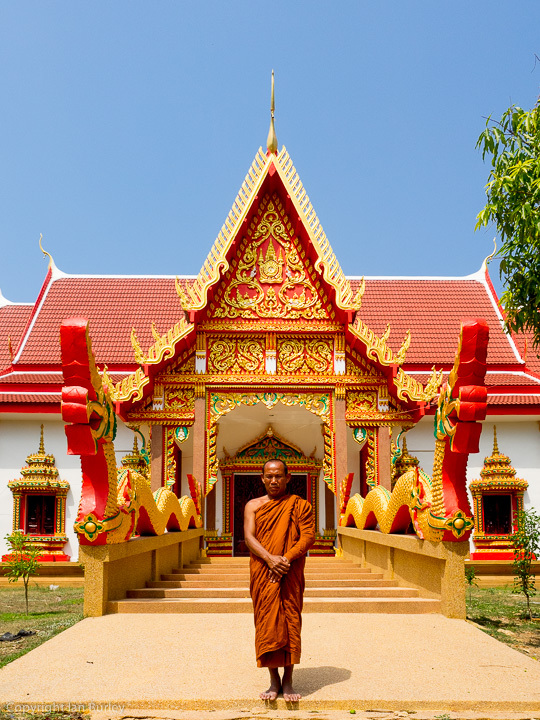 A Buddhist monk poses outside his new temple at a village near Maha Sarakham, north central Thailand. OM-D E-M1, m.Zuiko 12-40mm f/2.8 Pro @ISO 200, 1/1600th, f/5.0. What can I say other than this is an extraordinarily beautiful scene, a wonderful shot. I love everything about it. Beautiful, vibrant color with excellent clarity. Super photograph.